Between all of the different acronyms, it’s easy to get confused. Here we have a basic breakdown of the main types of electric vehicles that either plug in or have no harmful tailpipe emissions. Battery Electric Vehicles(BEV) like the Tesla Model S (pictured on the right) use electricity stored in a battery as their sole means of propulsion. The battery is recharged off of the grid and by regenerative braking. Charging times and electric range vary by make and model. Plug-in Hybrid Electric Vehicles(PHEV) like the Chevrolet Volt (pictured on the left) use electricity stored in a battery and a gasoline powered internal combustion engine(ICE) as a means of propulsion. In some models, the ICE will kick on to power the car when the battery is depleted, and in others the ICE is just used to recharge the battery. Fuel Cell Electric Vehicles(FCEV) like the Toyota Mirai (pictured on the right) are fueled with Hydrogen gas. The Hydrogen reacts with Oxygen in a fuel cell to generate the electricity that powers the motor. No harmful tailpipe emissions are produced, with only water and heat as byproducts. Neighborhood Electric Vehicles (NEV) like the GEM e4 NEV (pictured on the left) are pure battery electric vehicles that use electricity stored in a battery as their sole means of propulsion. These vehicles are classified as low-speed vehicles, and typically have a top speed of 25 miles per hour. As of June 2018, there are 17,873 electric vehicles registered in New Jersey. This number includes Battery Electric Vehicles and Plug-in Hybrid Electric Vehicles. 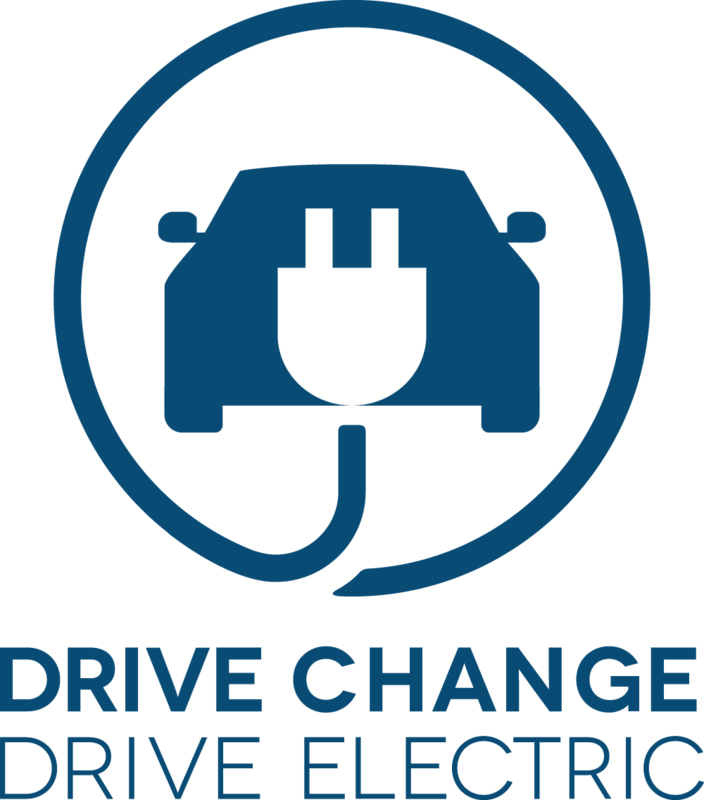 A few short years ago, in 2012, there were only 338 electric vehicles registered in the state, and now we have more than fifty times that! 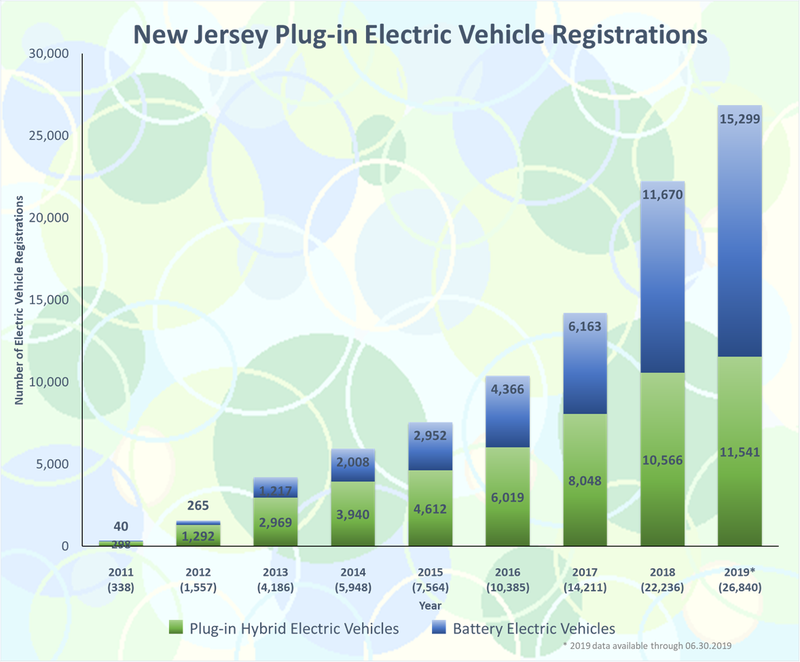 The chart below shows how the number of electric vehicles registered in New Jersey has grown over the past few years. Living in the Northeast, we know cold. On more than one occasion, I’m sure you’ve gone outside to find your car completely encased in ice. Word on the street is that electric vehicles don’t work quite as well when it is cold out. This is completely true, but this is also completely true of internal combustion engine cars, albeit for different reasons. The battery packs in electric vehicles do lose a bit of range in the winter due to their chemistry. Things just don’t work quite as well cold. Basic science classes taught us that heat speeds up everything from atoms to chemical reactions. Similar to popping popcorn, when you add heat, atoms bounce around quicker. This causes more of them to bump into each other, which effectively speeds up any reaction taking place. In the absence of heat, the reactions that take place in the battery of an electric vehicle slow down, and this is what causes the decrease in range. 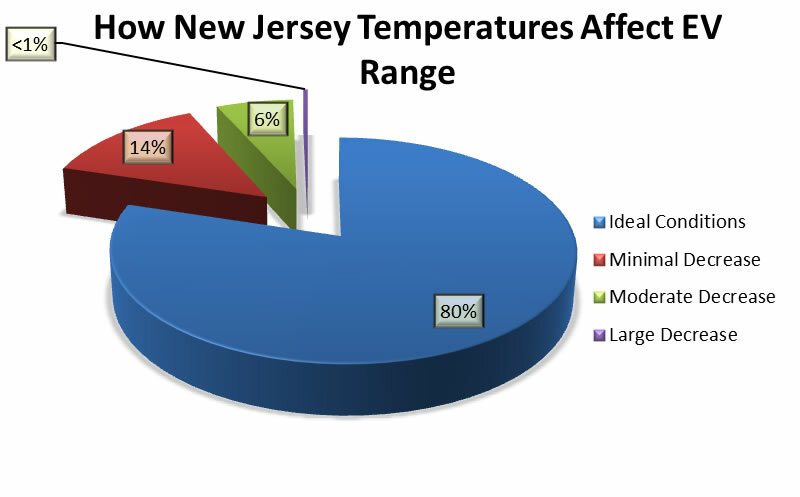 The chart below shows a composite of the daily temperatures from three locations in the state over six years, and breaks it down into the percentages of days where the weather would result in Ideal Operation, Minimal Reduction of Range, Moderate Reduction of Range, and Large Reduction of Range. 80% of the days over six years had temperatures considered to be ideal to the operation of an electric vehicle. 14% of the days fell in a range that would result in minimal reduction in electric range. <1% of the days fell in a range that would result in large reduction in electric range. *Range is dependent on driving style and heat or A/C usage.